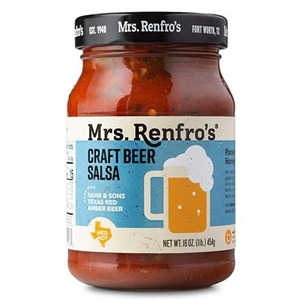 Mrs. Renfros has teamed up with another Fort Worth family business to bring you Mrs. Renfros Craft Beer Salsa. Whether you use it as a dip, marinade, or chili base, be sure to open a cold brew from Rahr & Sons at the same time! I think this might be thee best salsa.